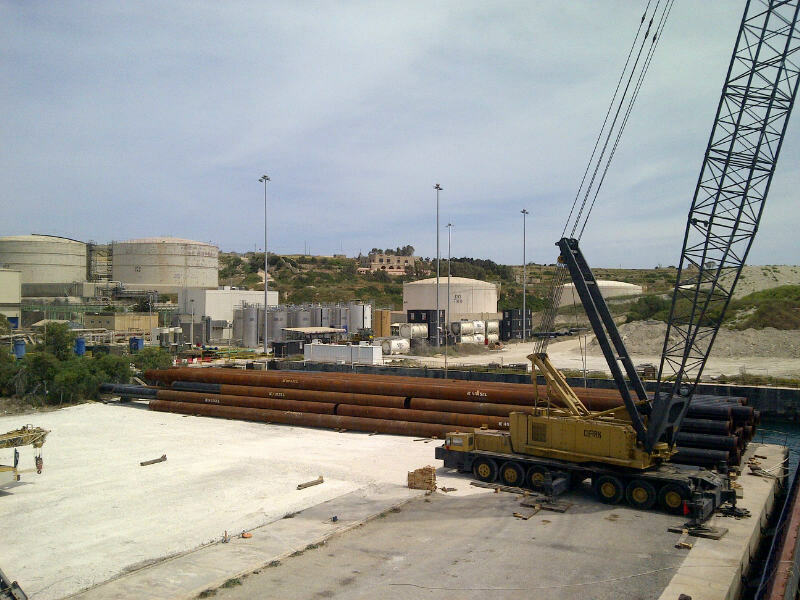 During the months of April and May Focal Maritime Services was appointed as the local agent responsible for the organization of the discharging operations from two vessels namely MV ARIZONA and MV ATHINA P . This project cargo arrived in Malta for Electrogas Malta Ltd and is part of the equipment being carried out for the building of the new power station. Cargo consists of spiral welded steel pipes, cranes, mobile offices, vehicles and containers.